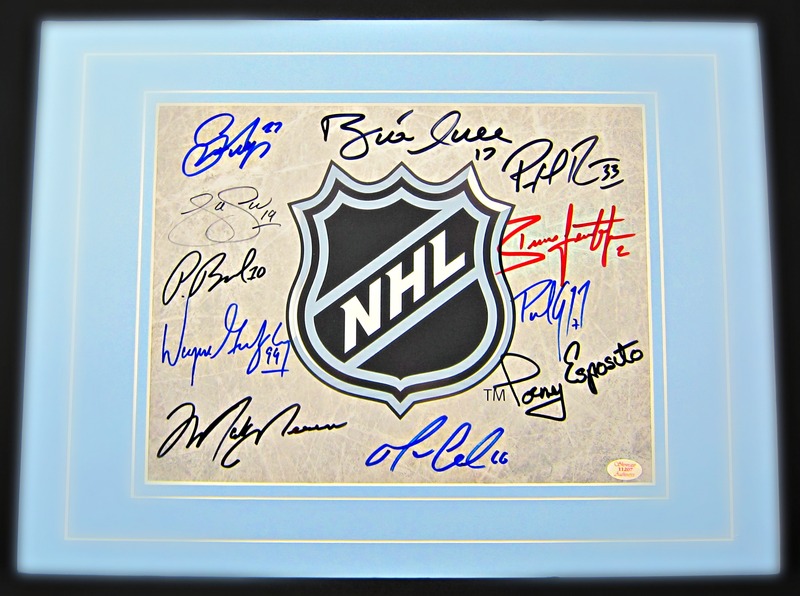 This 8.5″x11″ National Hockey League logo color print comes signed by 11 NHL Hall of Fame members, including; Scott Niedermayer, Joe Sakic, Pavel Bure, Brian Leetch, Brett Hull, Mark Messier, Patrick Roy, Paul Coffey, Wayne Gretzky, Mario Lemieux and Tony Esposito. The display includes letter of authenticity from Memorabilia Center and certificate of authenticity from Showcase Authentics. © 2019 Memorabilia Center, LLC. All rights reserved.